Episode 50: A Look Back! — Look at my records! Episode 50: A Look Back! Look At My Records! has reached the 50th episode milestone! In this special episode, Tom shares some exclusive McKenzie Tapes from the vault, including the Pixies at Maxwell's in 1988 (their 2nd ever appearance at the venue) and R.E.M. at Maxwell's in 1982. He also reflects on some of the funniest moments over the course of the first 50, including that time on his 30th birthday when he had a little too much to drink! 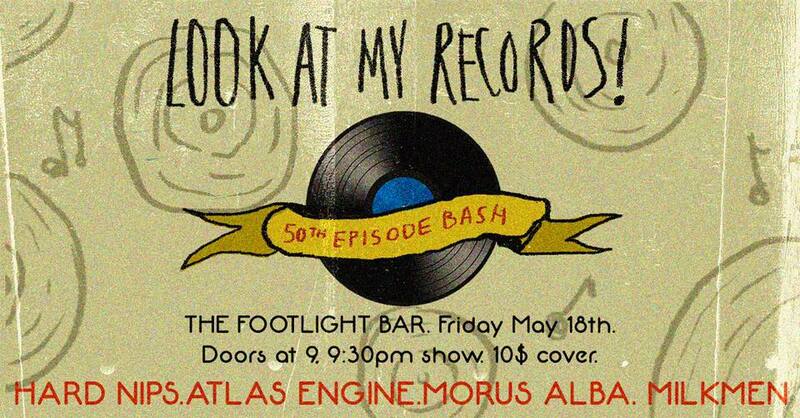 The show wraps up with tracks from Morus Alba, Milkmen, Atlas Engine, and Hard Nips - all who will be gracing the stage at the Footlight for the Look At My Records! 50th Episode Bash tonight!